Bethesda Chapel was built in 1866 in red & blue bricks in a diaper pattern, and had seating for 150 worshippers. The chapel opened on Sunday 4th November 1866. It was described at the time as "though small, is an exceedingly neat building". The chapel was still in use in 1982, but has now ceased to be used for religious purposes. 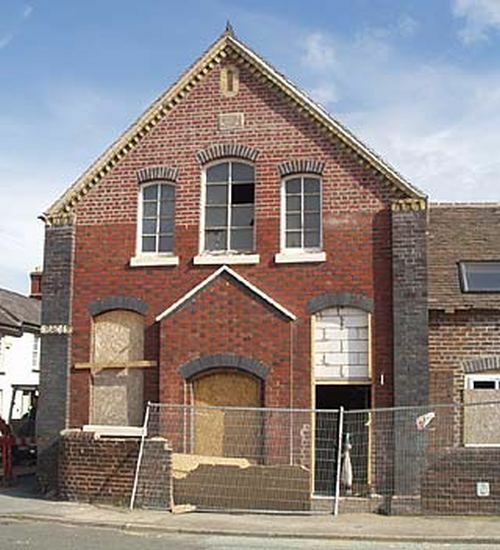 In September 2003 when this photograph was taken it was being converted to residential use and now (2018) consists of a number of apartments.